Image Above: Outwood Wharf, Salford – currently under construction. 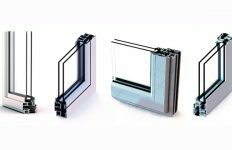 Aluminium unitised systems, once the preserve of high rise construction, is becoming commonplace as systems companies make these systems more affordable for low rise and smaller constructions. Being different from ‘modularisation’, discussed in our previous editorial, unitised construction is primarily about the facade construction. Cement creates a great deal of CO2 in its production which is well known to be harmful to our environment. In some parts of the world the rush to use concrete in construction is stripping large areas of riverbeds of sharp sand which contributes to further ground erosion. It would therefore seem to be beneficial to build a basic structure and simply clad it with a suitable facade to protect the occupants from the elements. 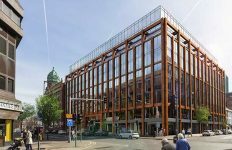 The view could then be taken to replace the facades at some future date and utilise the existing core construction, again thereby reducing our CO2 footprint significantly. Any facade can be made up of many materials, common material make up today can include aluminium glazed frames, terracotta profiles, stone and brick slips, to name a few. These high performance facades can be constructed complete with high levels of insulation, sound attenuation and excellent weathering characteristics. Constructing these on-site, normally with a ‘ground up’ construction, can be time consuming and form a large part of the building programme. 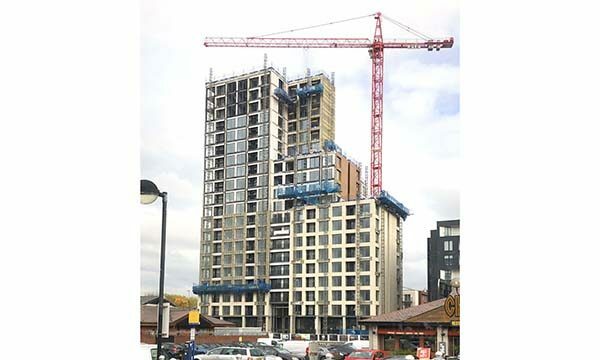 Using today’s latest technology virtually any facade can be ‘unitised’, that is to say, it can be broken down into smaller units which can easily be lifted into place and joined together on site. The additional costs of weatherproof interfaces between units are quickly offset with the speed of construction saving valuable time within the building programme. 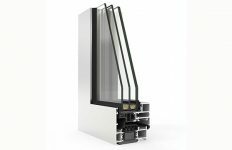 A further benefit is that the interfaces between units offer vertical and horizontal movement to take up both building thermal movement and to accommodate live loads which maintaining weather tightness of the facade. Each unit is usually carried on the slab edge and use setting out cleats which are accurately levelled prior to panels coming to site and being lifted into place. Whilst not an entirely new construction method, technology today allows for high performance, high quality facades to be manufactured off-site and more recently with services built in. 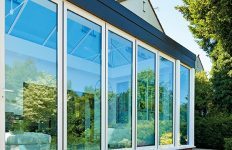 Aluprof have been working with specifiers and main contractors to develop aluminium systems which can be incorporated into or form unitised constructions which lead the market in this form of construction. Crucial to the value chain for unitised construction, Value Engineering seeks to reduce cost often by removing unnecessary physical material in a project in an effort to reduce costs of material and therefore reduce the cost of the project. Value Engineering is commonly seen as a secondary operation undertaken when costs need to be reduced on a quoted project for various reasons. Of late, the term seems to have taken on a negative connotation suggesting just a reduction in material content, not always for the good of the project as a whole. Value Management on the other hand has a wider reaching remit and whilst it encompasses Value Engineering at the outset, it is the complete ‘value chain’ that is explored in adopting Value Management principles. At the outset, Value Management looks at every process from order through to completion. 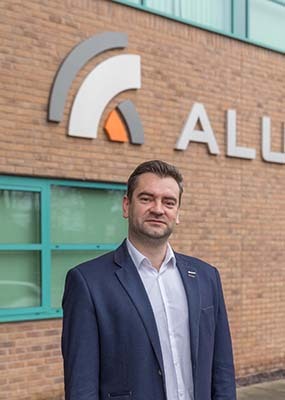 In the facade industry the principles of Value Management have been adopted by Aluprof in the UK to deliver competitive installations in conjunction with their extensive network of fabricators and installers. Specialist advice is available directly from Aluprof’s UK offices on 0161 941 4005.